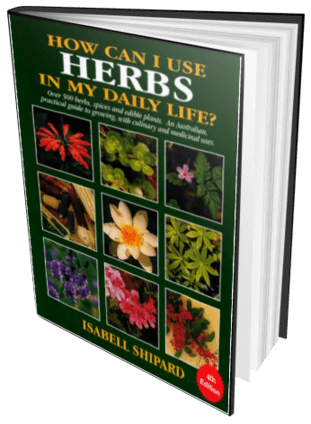 In this course Isabell covers valuable information that every person will find practical for daily living. Prepared-ness is like a spare tyre. We all have a spare tyre in our car, because flat tyres do happen. The same is true, of surviving an emergency, disaster, food shortage or economic downturn. Planting a garden with food potential is one of the most valuable things we can do. 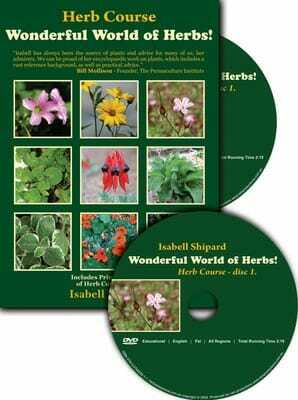 2 DVD Set – Total running time: 3 hours & 47 minutes. 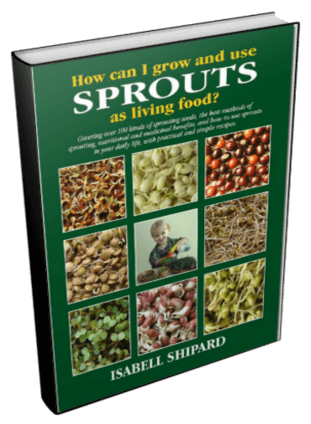 Sprouts are Living Food… at their very best! 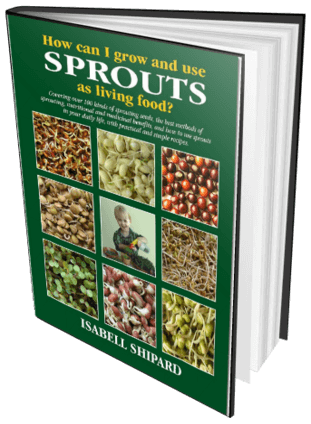 In this course, Isabell covers valuable information that every person will find practical for daily living. Prepared-ness is like a spare tyre. We all have a spare tyre in our car, because flat tyres do happen. The same is true, of surviving an emergency, disaster, food shortage or economic downturn. Planting a garden with food potential is one of the most valuable things we can do. 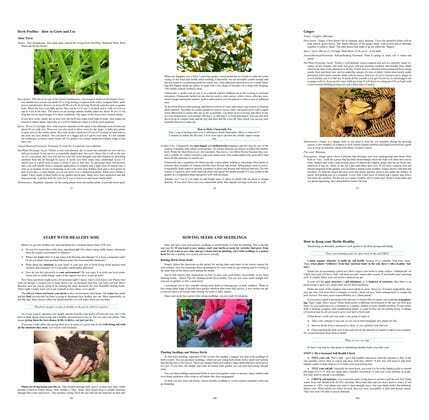 Discover which survival foods you can grow at home. Will we always have a free country with unlimited food supply? Could a major calamity or drought affect the supply and the price of food? Could rolling strikes disrupt electricity, water, telephone, transport and other amenities to shops and our homes? How would no petrol affect every household? How much food and non-perishable food does your family have on hand if all shops shut tomorrow? We need to encourage one another to be as self sufficient as possible NOW – in our gardens. Home grown is the most nutritious fresh food and cheapest way to live in these times of rising prices. 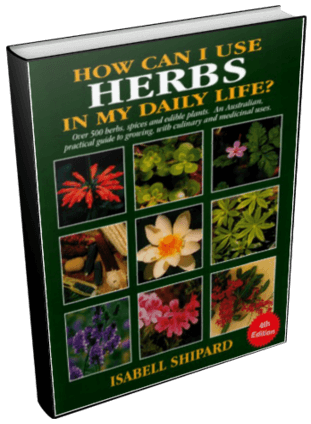 Growing our own food is very satisfying as well as beneficial to health and wellbeing. 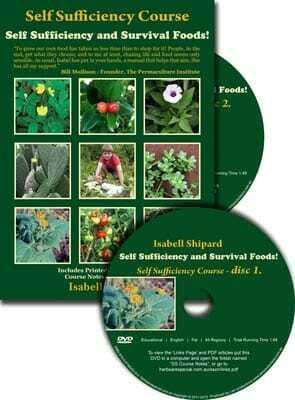 This course helps you learn the necessary skills to be self sufficient and grow survival foods. 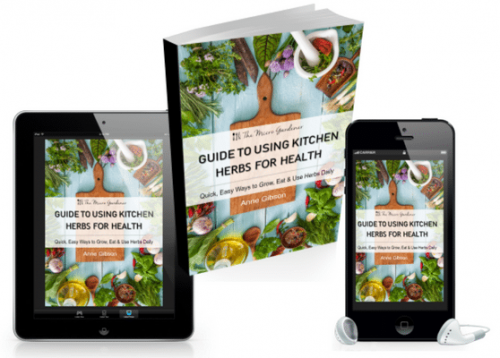 To maximise your learning consider the companion book Self Sufficiency and Survival Foods. DVDs are Pal, All Regions. Pal is the Australian standard. NTSC is the American standard. Both Pal and NTSC will play on any computer that can play a standard DVD. Also many new DVD players and TVs support both NTSC and PAL. Please be sure to check that you use the Pal format before purchasing.